More than a year ago, former Top Gear host Jeremy Clarkson was fired from the BBC after he punched one of the show’s producers during a disagreement. Since then, a whole lot has happened, including the BBC hiring six presenters to replace the old trio of Clarkson, Hammond, and May; the three original presenters being signed for a new show by Amazon; and the new Top Gear hosts causing controversies before the show had even started. Now, the new series of Top Gear is finally underway. Filming for the show began last week, with main hosts Chris Evans (not that one) and Matt LeBlanc (how YOU doin’?) taking the lead on things. Unfortunately for Evans et al, things didn’t exactly go as well as they’d hoped. In addition, The Independent reported that Evans needed to retake lines multiple times—in particular, for his introduction of The Stig. To make matters worse, guest star Brad Pitt was reported to have cancelled at the last minute. Top Gear still had interviews with chef Gordon Ramsey and actor Jesse Eisenberg, and since Evans is experienced in interviewing, this segment seemed to go off a lot easier and he was much more relaxed. Hopefully the hosts just need to get into the groove and things will be much better once filming starts for the second episode. This certainly doesn’t bode well for Top Gear, though, especially since the show’s trailer received such rampant criticism when it was released at the end of last month. 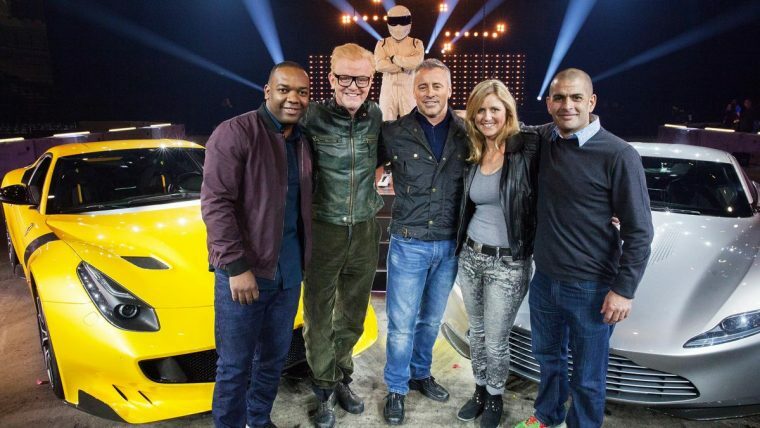 Top Gear will return to British TV screens on May 29th, with the first episode making its Stateside debut the following day (which just happens to be Memorial Day).